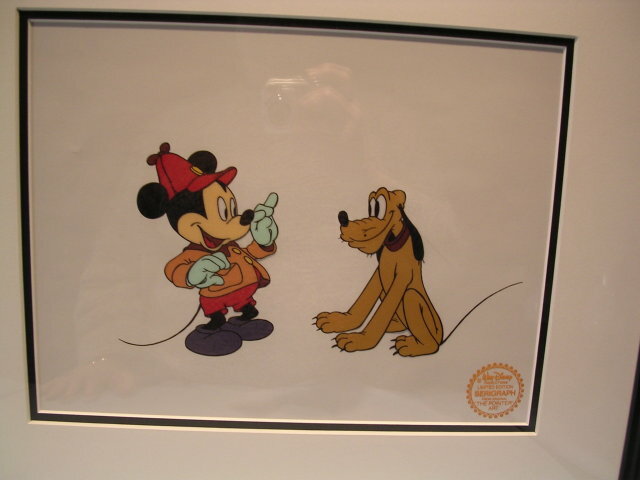 Walt Disney Company 2002 Framed Serigraph Cell "The Pointer" Limited Edition bears the distinctive seal of the Walt Disney Company. Professonally framed, matted and under glass the cell measures 11 x 14. Framed it measures 18 x 21. 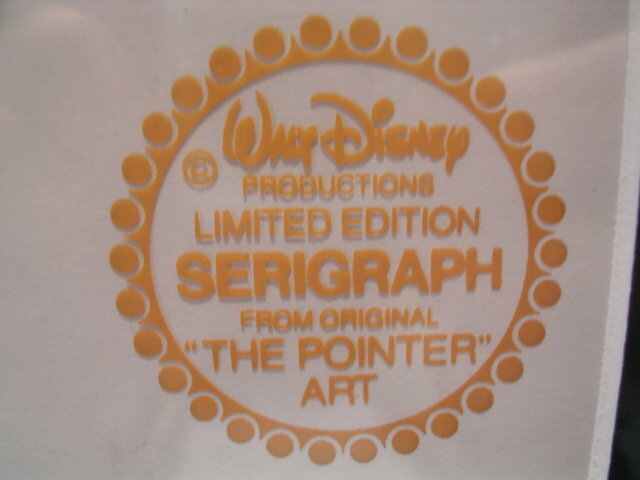 The art for the seriograph cell was selected by Disney artist from the original animation used to produce the movie. In mint condition. 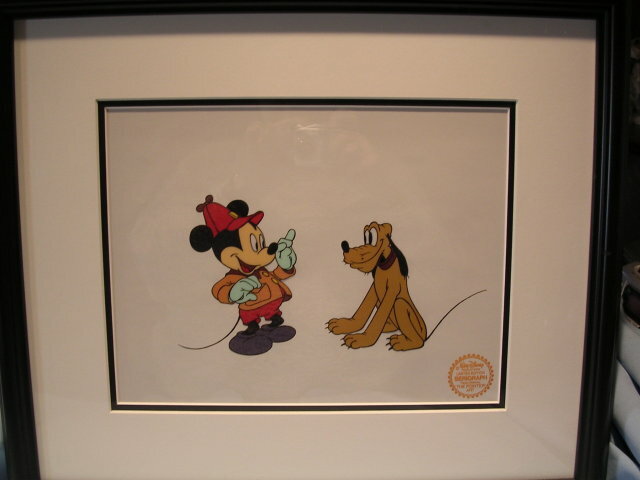 See the other Serigraphs we have listed with GOANTIQUES. 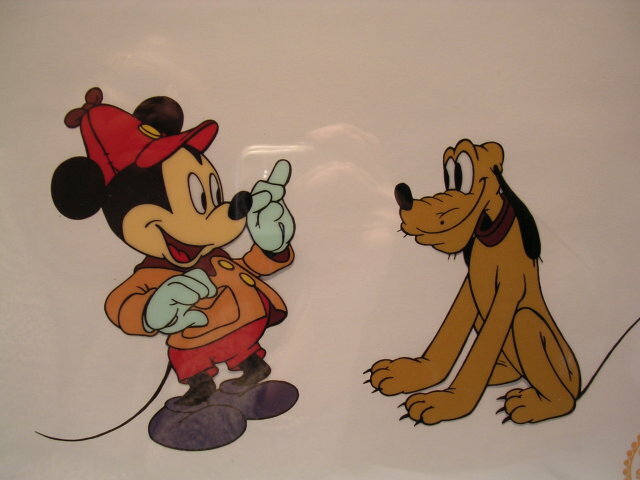 Items Similar To "WALT DISNEY "THE POINTER" MICKEY AND PLUTO FRAMED SERIGRAPH CELL"